There are also a couple of photos of the object here. It's an odd-looking thing. The metal, the wire, and the hinges look machine-tooled to me. Were any objects manufactured with this look 1100 years ago? I defer to experts on medieval book construction. What I can see of the gold-script Hebrew around the periphery of the cover is gibberish. Some of the words look as though they are based on real Hebrew words, but the vocalizations are nonsense. And there's this: Security forces seize ancient Torah and coins in anti-smuggling operations across Turkey (Daily Sabah). There is only one, very poor, photo of the bound book, which has a Star of David design on the cover. The pages have the same rough-edged quality as many of the earlier fakes from Turkey. It is reportedly "gilded with gold," also like many of the earlier fakes. There is no legible writing in the photo. I need better information to be sure, but current indications point toward it being another fake. I don't know about the other objects seized. Some of the coins may be genuine. The Turkish authorities have been very industrious in rounding up alleged antiquities in 2019. 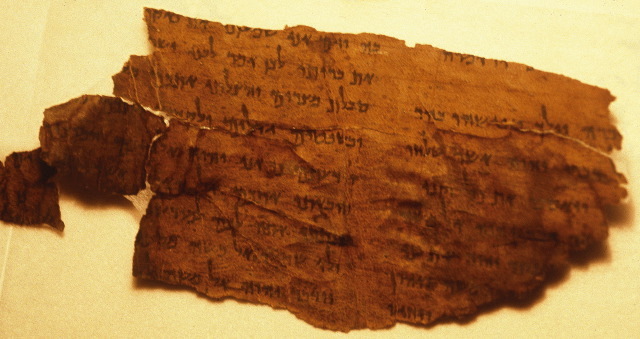 There have been a number of earlier reports of seized Hebrew or Aramaic manuscripts that are supposed to be ancient and often Bible-related artifacts. So far I have seen no indication that any of the manuscripts, including the ones above, are genuine ancient artifacts. I don't know where the Turkish media are getting the claims that these manuscript are old. When we have enough information to judge, they look like fakes. I am getting bored with these stories. I imagine you are too. From now on, if more seized manuscripts turn up in Turkey, I'm generally going to ignore the reports. I will only pass them on to you if (1) there is good indication something is a real antiquity this time; (2) information emerges about an object I noted earlier that leads me to believe it might be a real antiquity after all; or (3) something looks dubious but is interesting for some reason anyway. I don't necessarily see every such report. So if I don't mention one, it doesn't mean I have a particular view about it. If I have an opinion about something and I want to share it, I'll let you know. For past reports of apprehensions of manuscripts etc. in Turkey, start here and follow the many links.